Oregon has often taken bold action to safeguard the natural landscapes and resources that define the state and our communities. Many times, it has been local Oregonians, passionate about the place they call home, who have been the driving force behind the movements that have cleaned up and safeguarded our beaches, rivers, forests, and landscapes. But there is still more that must be done for our wild fish, our rivers, and the human communities that depend upon them. Today in the Willamette River basin, wild spring Chinook salmon and winter steelhead populations are on the brink of blinking out. Half a million fish once returned to the Willamette each year, a silver thread of life extending from the Pacific, surging above the pounding waters of Willamette falls, and weaving up Cascade and Coast Range streams to spawn the next generation. But a century and a half of human impacts have decimated the abundance of our iconic fish—runs are now just one percent of historic levels. Without a change of course now, we will lose the wild fish of the Willamette forever. 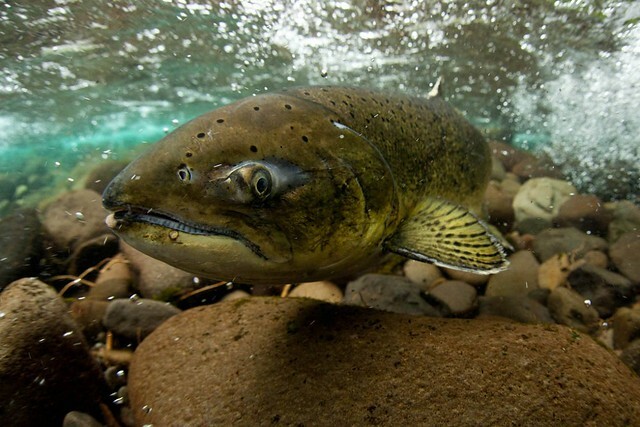 From this dire situation, the Willamette Salmon and Steelhead Recovery Coalition has been formed to promote and support recovery of wild salmon and steelhead in the Willamette basin. We invite anyone passionate about the Willamette and its wild fish to join us in advocating for the changes that are necessary to not only save, but to recover, the magnificent runs that once swam these waters. Many of the necessary actions—fish passage at dams, improved water quality, more natural river flows—have already been identified and agreed upon by the governmental management agencies. But for a decade, the responsible agencies have failed to act to stem the tide of decline. Now, through our collective voices as anglers, as conservationists, as businesses and as Oregonians, we must act to save our fish and our river. Together, we can secure a future for the Willamette that supports abundant, wild fish and local communities. We invite you to join us in celebrating the Willamette and our wild salmon and steelhead at our upcoming kickoff event where you can learn more about our efforts and act to help our imperiled wild fish. Please RSVP so we can save you a spot!